Our waste collection team are equipped with the vehicles, tools and equipment to collect a very wide variety of waste. Usual industrial sized containers are 205ltr drums or Intermediate Bulk Containers (IBCs). If the collection is being made for a smaller load then more suitable containers are provided by us to ensure the waste is being transported correctly. If you are a new customer or just require a one-off collection, we can arrange this for you in minutes by talking to one of our team. 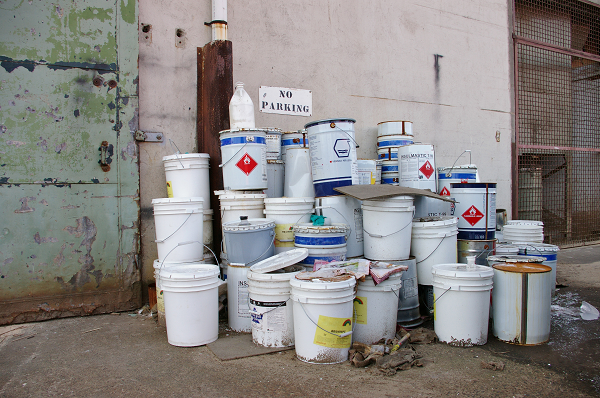 Various shapes and sizes of hazardous waste is collected nationwide on a daily basis most commonly in and around Bedfordshire, Hertfordshire, Cambridgeshire, Oxfordshire & Northamptonshire. A common collection service we offer is asbestos collections. We currently collect all asbestos and hazardous waste fly-tips for Bedford Borough Council. If you suspect any asbestos, please contact us so we can provide you with guidance on how to proceed.